The last 40 years may have seen multiple technological advances, seismic political shifts, and Lincoln City FC suffer two relegations to the Conference, but the city’s traffic woes appear to have remained a depressingly constant factor throughout the decades. An ATV Today film from October 1975 shows some of Lincoln’s more iconic attractions such as Lincoln Cathedral, Newport Arch and Jews House, along with some of the familiar traffic problems associated with the city to this day. While the late Bev Smith describes Lincoln as “one of the finest historic cities in the country,” he adds that the city has “a unique traffic problem,” something motorists today will undoubtedly bear witness to. The High Street train crossings for Lincoln Central and St Marks station were of particular frustration back then. In his report, Bev said: “On average some 125 trains a day rumble over these crossings and that’s not all. There are a handful of other crossings like this, though admittedly on quieter streets, in other parts of the city. Although the St Marks barrier has been removed following the closure of the station in 1985, the High Street one remains, as does the crossing on Brayford Wharf East. Other crossings such as the ones on Skellingthorpe Road and Doddington Road continue to suffer from rush-hour congestion to this day. Plans for footbridges over the High Street and the Brayford crossing have been delayed, due to rising costs and the discovery of asbestos. Solicitor Gilbert Blades, who chaired an action group to highlight the issues, said that residents were “browned off” by the problems. The report also examined the knock-on effect of the HGVs pounding through the city centre and the serious damage to the 900-year-old cathedral and the even older Roman remains. 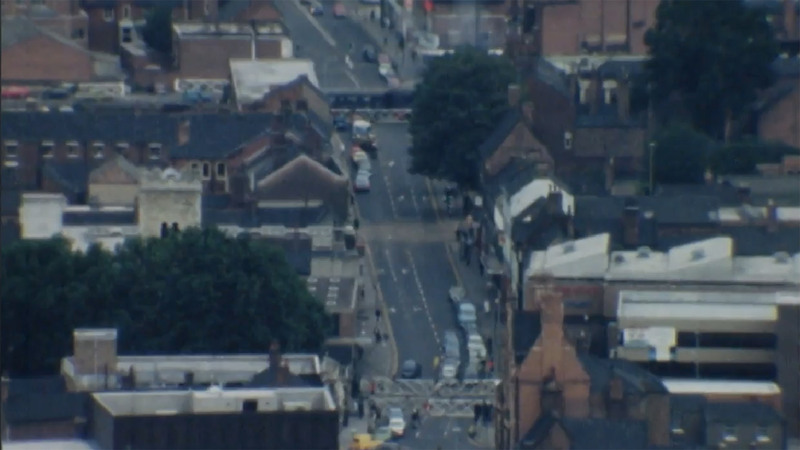 The film shows a county council employee suggesting a new road in or around Lincoln to solve the traffic problems, supported by Lincolnshire Police, business groups and the Dean of the cathedral. Even then, the cost of a bypass was estimated to be in the region of £15 million. A bypass was built around the western edge of Lincoln in the 1980s, but a much-discussed Eastern Bypass continues to hang in the balance. The fate of the Eastern Bypass is in the hands of a Department for Transport inspector after a second public inquiry was held in August, with a final decision announced potentially by the end of 2015. The footage comes from The Media Archive for Central England, in association with the University of Lincoln.